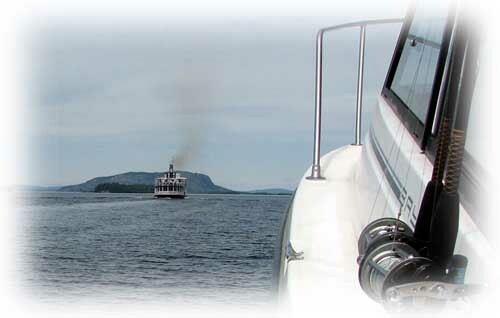 Of all the rivers to explore locally, the West Outlet on Moosehead Lake is one of the best and most diverse. Starting as a river along the way there are scenic ponds, quick water and class 1 whitewater (the lowest designation). For wildlife watching, few rivers can compare to this trip. Along the shore you may spot nesting bald eagles, scampering beavers or otters, and even loons calling. 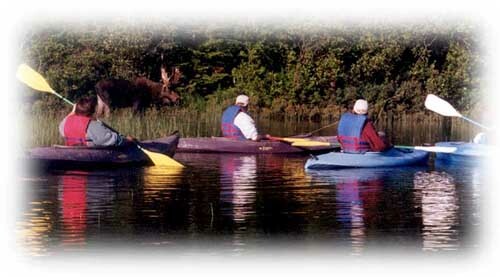 Deer and bear may be spotted along the riverbank and frequently feeding in the shallows may be the Maine Moose! For the fisherman this trip offers some of the best bass and trout fishing in the region. Our clients frequently catch smallmouth bass in the 3-5 pound range, and trout up to 14 inches, so be sure to bring your fishing rod or rent one at our store. We also offer fishing licenses, tackle and good advice. For this trip we provide your boats (canoes or kayaks), lifejackets, paddles, map, and transportation to and from the river. Bring a picnic lunch and make this a full day trip, or you can shorten the trip to a half day. Basic paddling experience is required for unguided trips. Guides are available. 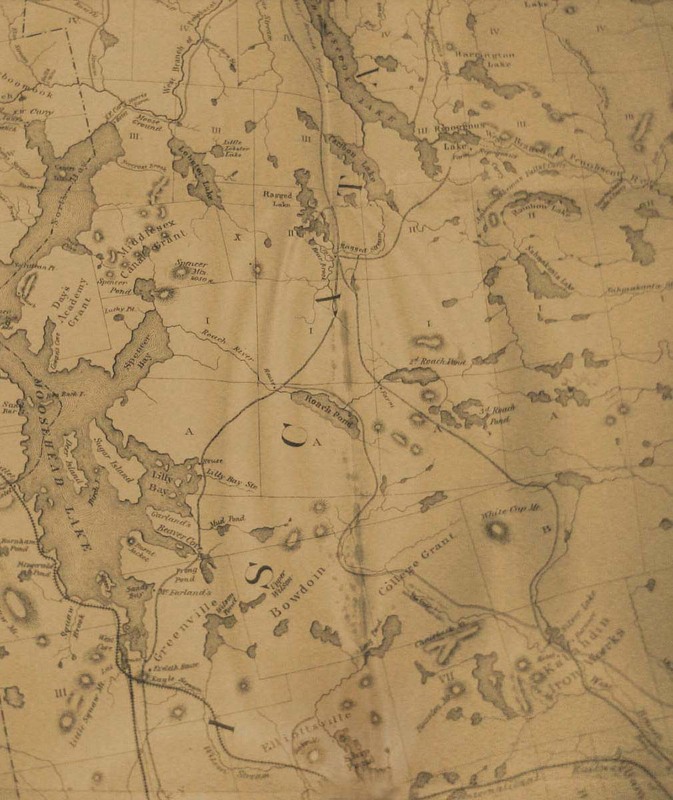 Mount Kineo is the gem of Moosehead Lake. Take one of our daily cruises to this stunning, jagged rock face, a striking precipice rising more than 800 feet straight up from the water. Your trip starts in Greenville and cruises 18 miles up the lake, you will be able to see surrounding mountain ranges remote islands and other points of interest along the way. After we arrive you can choose to explore by water or you can take a guided hike up the backside for an easy/ moderate hike to the mountain top fire tower. Absolutely stunning views can be found along the trail and ascending the restored fire tower affords magnificent panoramic views of the whole Moosehead Lake region. This six-hour trip includes snacks and beverages. 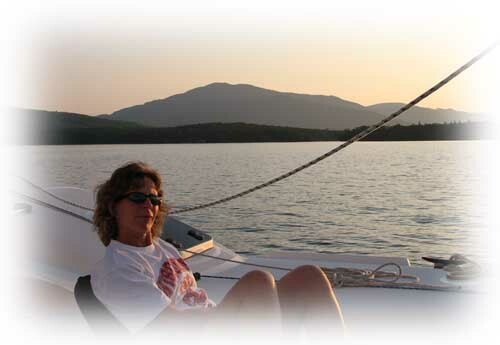 There’s nothing like sipping a glass of wine and watching a fabulous sunset while floating in the middle of Moosehead Lake. Spectacular mountainous panorama and miles of forested shoreline make you feel like one with this ethereal paradise. Trips go out every evening during spring, summer and fall seasons. This three hour trip includes non-alcoholic beverages and tasty hors d’oeuvres. Alcoholic beverages are allowed in moderation. Maximum capacity 5 passengers. 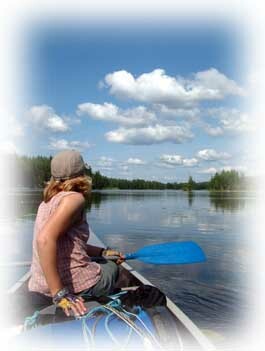 Guided Kayak tour - Join a guided Kayak tour for a day of exploration in Lakes region of Maine! Led by an experienced Maine guide this adventure may take you exploring a scenic wilderness lake shoreline or secluded marshes in search of moose and waterfowl. Trips leave daily from Greenville, transportation, kayaks and gear are included. Contact our trip specialists for more information. 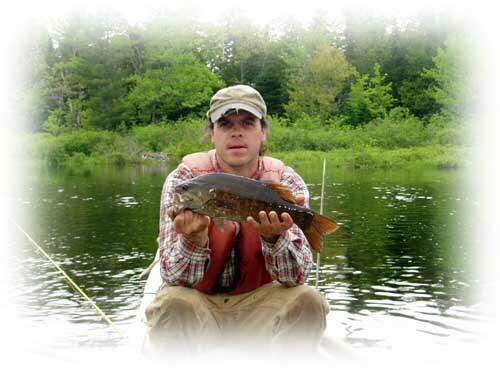 Basics course - Let us open you up to a great new way of exploring the Maine wilderness. This is a great course for the new kayak owner or anyone interested in buying his or her first kayak. Your registered Maine guide will go through boat and paddle selection, safety equipment, different paddle strokes, boating safety, comfort, fit and weather conditions and finishes with a kayak tour. 3 hour introductory courses and full day trips are available. No experience necessary. Kennebec River Whitewater Rafting and more! River Fact: The Kennebec River in Maine flows 7 days a week all season long. Wetsuits are available for rent. Approx. 40 min. drive to raft base. If you prefer to explore on your own, our experienced staff are happy to share their knowledge of the area. 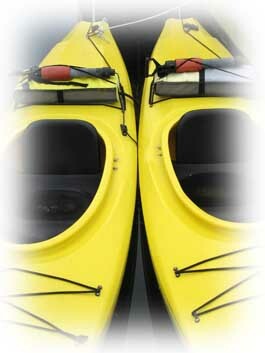 Canoe and kayak, and Bike rentals are available by the day or week. 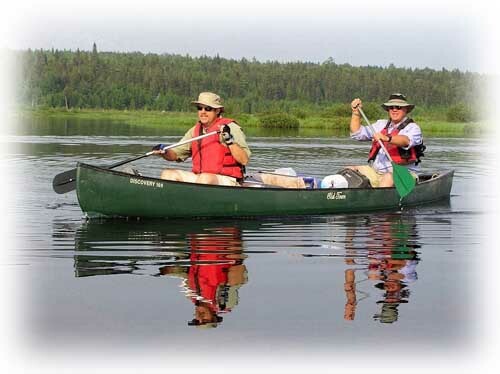 For your convenience we also keep canoes on location at several area ponds saving you the trouble of transportation. 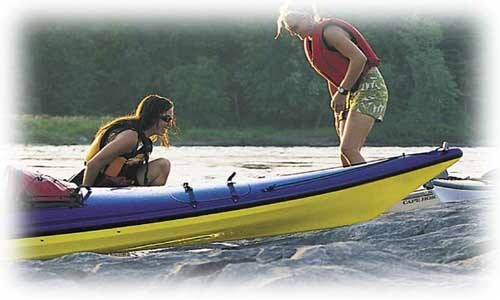 Canoe and Kayak car top carriers are also available for rent. Boat transportation and shuttles are available by reservation.